A study by University of Arizona ecologists explored how global warming could jeopardize our food supply. In their report, Alice Cang and John Wiens, professor at UA’s Department of Evolutionary Biology, conclude that grasses across the globe may be unable to keep pace with climate change. This will put some of the world's most critical food sources such as wheat, corn, and rice in danger. Dr. Wiens explains in the article for UA News, "Let's say the climate warms by two degrees in an area where a local population of grasses grows. If the population survives that change, it was able to shift its climatic niche. From an evolutionary perspective, we find that niches change very slowly and often not very much. The rates of niche change among grass species are often just a few degrees per million years. But now, species may need to make similar changes in less than a hundred years." According to the research study, when a species faces a rapid shift in its local climate, three outcomes are likely: It can move to higher elevations and latitudes to stay within its original niche conditions; shift its niche to encompass the new conditions; or go extinct. The UA team compared past rates of niche change in 236 species of plants in the grass family with projected rates of climatic change by 2070. The first step was estimating past rates of climatic niche shifts. They did this by reconstructing ancestral values of each climatic variable for the ancestor of each pair of closely related species. They then looked at the difference between the current estimated niche value for each species and that of its most recent common ancestor. This gave them the niche shift each species had undergone during its evolutionary history. The next step was comparing the pace of the past shifts with the pace of projected climatic change. They utilized three projected scenarios: minimum, maximum and intermediate levels of future change. Rates of niche change in temperature variables typically fall between 1 and 8 degrees Celsius per million years. The data used for the study put the rate of future change at approximately 0.02 degrees per year. That would be about 3,000 – 20,000 times faster than in the past. For comparison, the EPA projects an average increase of global temperatures of at least 2.7 degrees Fahrenheit by 2100. If the projections for global warming are correct, scientists will have to find ways of helping grass crops adapt. Otherwise there, is the potential for massive crop failures, especially in underdeveloped countries where they don’t have access to large scale irrigation. 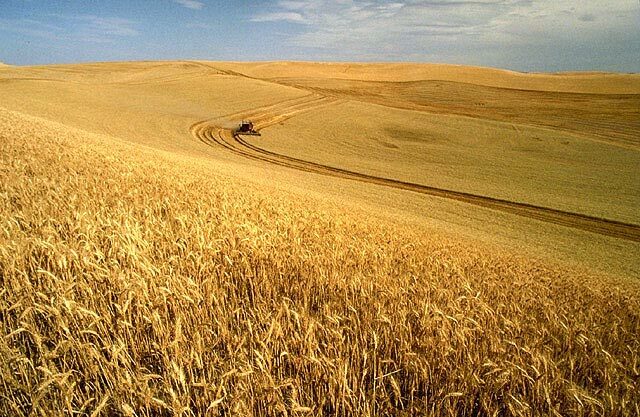 Since wheat, corn, rice and sorghum occupy more than half of farmed land worldwide, their failure could mean there wouldn’t be enough food for our current population of 7.5 billion people, let alone the population of 11 billion that’s expected by 2100. University of Arizona, Tucson is the state’s leading research university with nearly $300 million in research and development expenditures annually. Biotechnology Calendar Inc. will be hosting the 14th Annual BioResearch Product Faire at UA, Tuscon on Thursday, November 3rd. 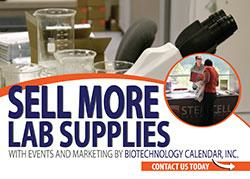 This event provides science professionals the opportunity to meet face to face with laboratory equipment suppliers. Science professionals attend for free. Save time at the door by preregistering.